Are your cows “FEELING THE HEAT” in the Summer? Is milk production DOWN? Less milk fat and protein content? 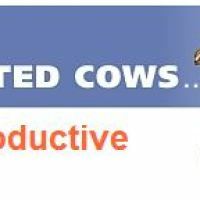 Seeing a reduced conception rate, less feed consumption and efficiency, plus increased metabolic and health problems? If these symptoms sound familiar … you need help URGENTLY. Let us detect your problems FREE OF CHARGE!